Do You REALLY Want to Know What Goes Bump in the Night? The Manitou Springs Heritage Center and the Haunted Dimensions Parahistorians are teaming up again this Halloween night to find out who is lurking in the shadows at two Manitou Springs’ locations. You’ll be the investigator - No experience required! Erick and Tammila Wright, the founders of the Haunted Dimensions Team, will be your hosts. 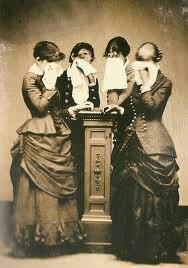 The Wrights have investigated the paranormal for almost 30 years. 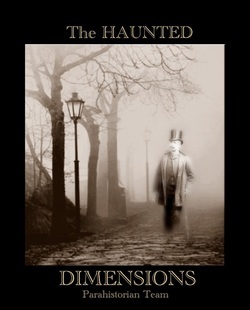 The Haunted Dimensions Team uses history and quantum physics to explore haunting activity. The Wrights brought TAPS investigators from the popular television show “Ghost Hunters” to Manitou Springs and have investigated with them in other parts of the country. “Walking History” documentaries have been produced on the Haunted Dimensions’ investigations at the Elkhorn Lodge in Estes Park and the Matchless Mine in Leadville. So after you are through handing out candy on Halloween night, you’ll be able to see what it’s like to be on a real paranormal investigation using a range of equipment and techniques. All investigations are conducted in a professional and respectful manner, while still providing a fun experience for attendees. and last approximately two hours. Tickets $25/person; advance purchase recommended. All proceeds benefit the Manitou Springs Heritage Center. For more information call us at 719-685-1454.